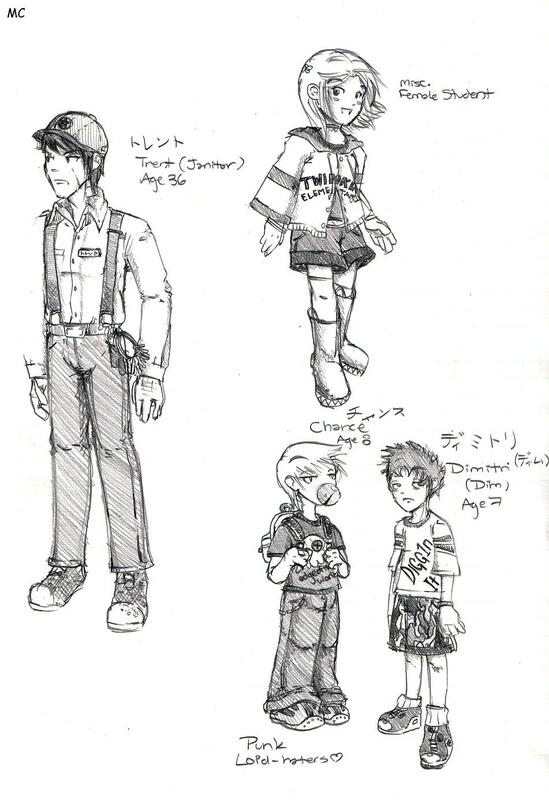 Concept art for the Twinkle Elementary Janitor, two boys and a girl. Kumatora gets the couch because shes a girl, if only barely. Aaaand, here we have the dynamic duo, Ninten and Ana. ...and a Mr.Saturn, I guess?